A little while ago, Cardstore contacted me to see if I'd review one of their cards. To be honest, I had never heard of the site, but when I clicked over to check it out, I was so impressed with the design of the site (what can I say, I'm a sucker for a pretty website! ), I immediately wrote back and said I'd be happy to review a card! 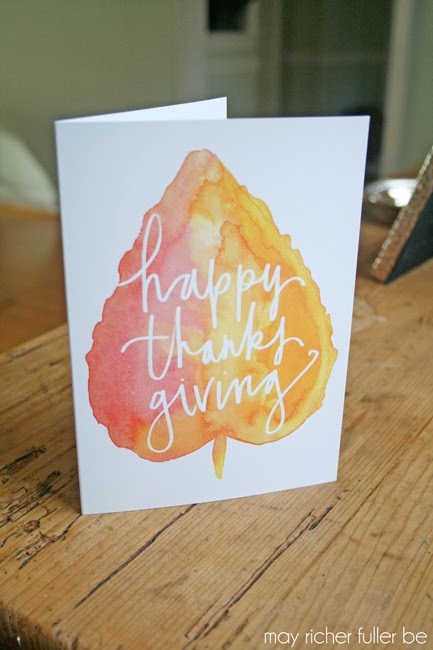 So I took my time looking through the different cards on the site, and finally settled on a Thanksgiving card with a watercolor leaf design. It was tough to choose just one! I'm planning to send it to one of my uncles we won't get to see this year on Thanksgiving. I thought I'd surprise him with a little "happy." While the card is really pretty, what I really liked about Cardstore was all the options they give you to customize it. Once I selected my design, I was taken to a page full of customization options. I could add my own text, place a photo on the inside or outside (if I chose a card with that option), and play around with things like text placement, font and size. 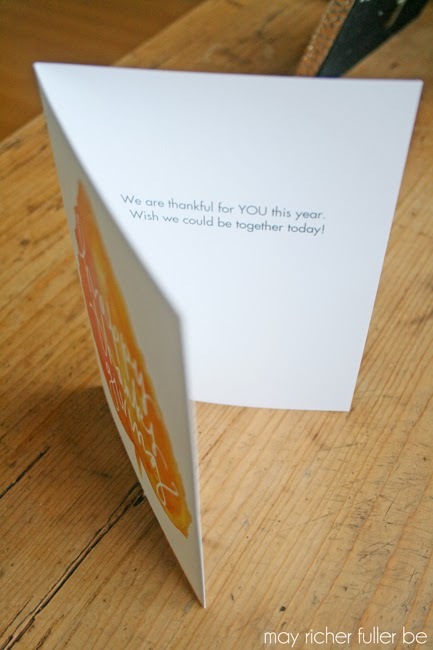 I chose to keep mine to a couple of simple lines of text ("We are thankful for YOU this year. Wish we could be together today! "), but I loved playing around with all the options. They provide just enough options to make it feel like a truly customized card experience, but without having to do it ALL yourself from scratch. I felt like this was something that anyone could do - even those who wouldn't classify themselves as super computer savvy. Once I was done customizing, I walked through the card from front to back, approving the design and text. When I was satisfied, I moved onto payment and shipping and the card was on its way to me...OR I could have had Cardstore send it directly my uncle. Yep, they'll address the envelope and send it for you! Talk about easy. No need to worry about receiving a big stack of something like a bunch of Christmas cards and then having to spend a few hours addressing and mailing them. So if efficiency is your goal, this is definitely a good system for you! I like to handwrite personal messages in cards, so I had them send it to me directly, then I'll toss it into the mail myself. I did have them print an envelope with my return address on it though - that'll save me a little bit of time. If I was sending a bunch of cards though, I would definitely think hard taking them up on doing all the addressing and mailing for me! 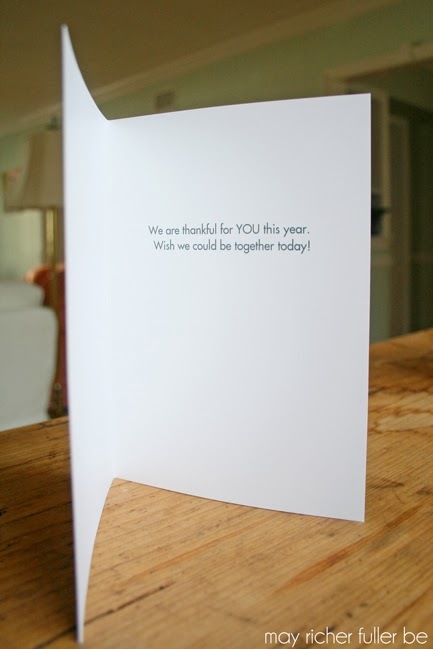 You can even make cards way in advance (if you're that organized, ha!) and have them sent on your chosen date. *Disclosure: Cardstore provided one card for free for me to review. I did not receive any other compensation or instructions on what to write in this post. All opinions expressed in this post are my own!